Drop the fat! Several years ago, Dr. T decided to take his life into his own hands. Now you can too. 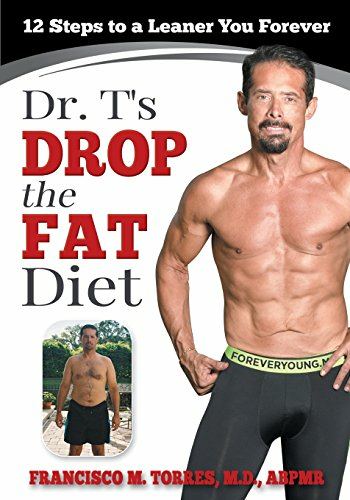 Dr. T's Drop the Fat Diet is a common-sense, medically-tested, clinically-proven way to jumpstart your metabolism, plan your meals, and get going toward a new you forever. This is not your average weight loss book and it's not a fad diet. Dr. T is a board-certified medical doctor with an unrivaled passion for health and fitness. He is the founder of ForeverYoung.md and a fat loss expert. For years he has been helping hundreds of his own clients achieve body and wellness transformations as incredible as his own. In this book he shares the secret - a comprehensive and realistic approach to fat loss. The results are proven. The plan is simple. What are you waiting for? Dive in and drop the fat! Other Book(s) By Francisco Torres, M.D.